These photos were taken last week. But I've only had time to post them now. I still have more LFW Street Style photos to share too. This skirt was an impulse buy in Paris. And it has been abandoned in the back of my wardrobe for the last 12 months. I was contemplating getting rid of it when I spied pleats on the VB catwalk. And then I got quite a few compliments when I wore it to the office. So maybe it will get a second chance after all. 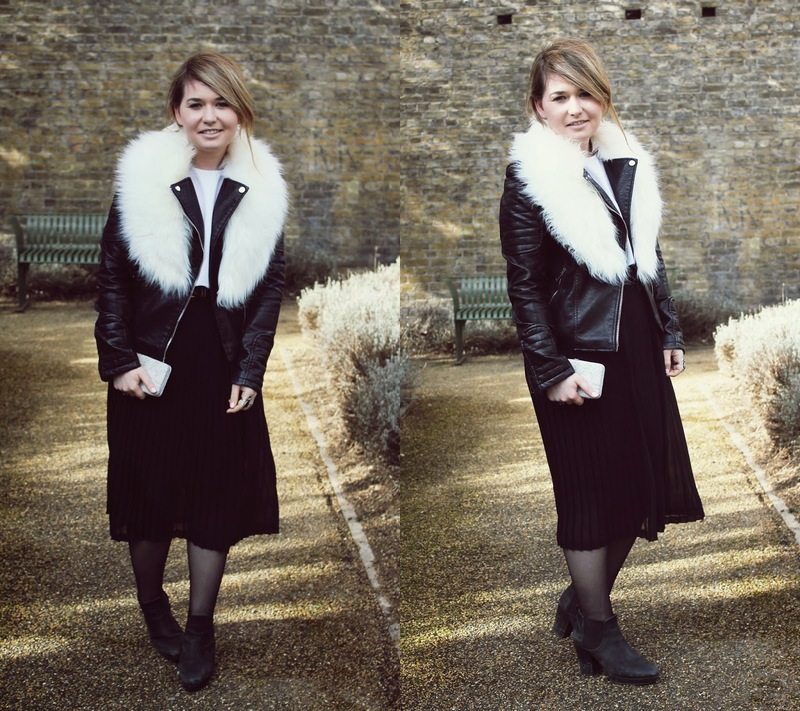 love you all black ensemble with the leather jacket there, and the contrasting white fur collar is simply stunning!